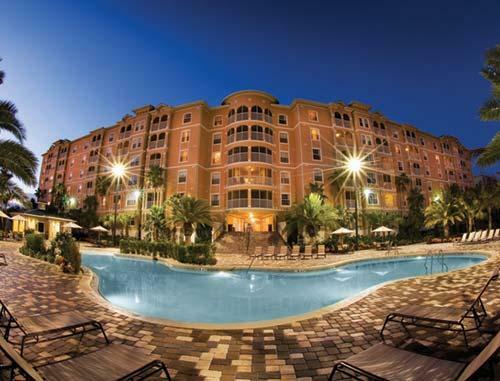 Mystic Dunes Resort & Golf Club in Orlando, Florida Near Disney - Bid on a 7 Night Stay in a 1 or 2 Bedroom Suite! 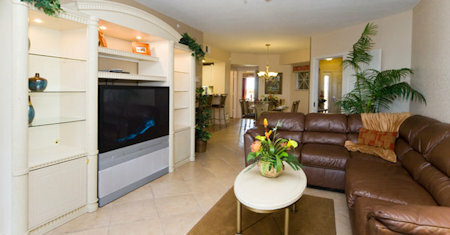 Enjoy 7 Nights in a 1 or 2 Bedroom Suite at Mystic Dunes Resort & Golf Club in Celebration, Florida! Welcome to Mystic Dunes Resort & Golf Club, a distinctive destination resort where you'll enjoy close proximity to the fun and excitement of the world's #1 family vacation destination, while escaping to a relaxing, tranquil retreat of spacious, well-appointed villas and a wide array of resort amenities and services in an atmosphere of gracious hospitality. Built on one of the highest elevations in the area, our resort is nestled on over 600 acres of rolling hills, lush Florida nature preserves and beautiful tropical landscaping.We're located just two miles from Walt Disney World ® and just minutes away from all of Central Florida's major attractions including Universal Orlando and SeaWorld Orlando. Within your spacious villa, you'll enjoy amenities that let you escape from home yet leave you feeling right at home. As you step out into the warm rays of the radiant Florida sunshine, the day is yours to fill with fun. Splash away or simply relax at one of our four inviting resort pools, including Dunes Lagoon*, our two-acre recreation area featuring a two-story water slide, expansive pool deck, private cabanas, and sandy beach play area. Enjoy a round of golf at our championship par 71 golf course or our 18-hole miniature golf course. Or participate in the wide array of fun activities offered daily, including supervised children's programs. Choose from spacious one and two-bedroom villas, each with a breakfast bar and/or dining area and a partial or fully equipped kitchen. Free Wi-Fi. 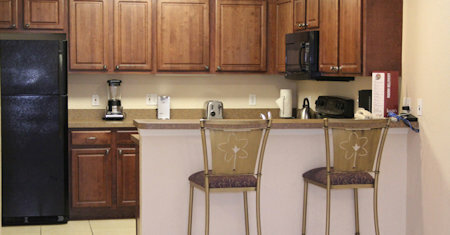 The Following Check-in Dates are Available in a 1 Bedroom! FOR ONLY $75 FOR THE ENTIRE WEEK! The standard two-bedroom villa sleeps up to eight—complete with a king bed in one bedroom, two queen beds in the second bedroom and a queen-size sleeper sofa.